HANOI - Nestled in a leafy park between a rusting Soviet fighter jet and the old East German Embassy, a lonely statue of Lenin stands in the center of Hanoi as a symbol of the Russian revolutionary’s inspiration to communist-ruled Vietnam. Yet in 1986, one year after the statue was erected, Vietnam embarked on its comprehensive program of doi moi reforms, which transformed the country from a war-torn agrarian basket case into one of Asia’s fastest-growing economies. Today, Hanoi’s “Lenin Park” is popular not for Vietnamese paying homage to their communist roots, but for a dedicated crew of skateboarders. 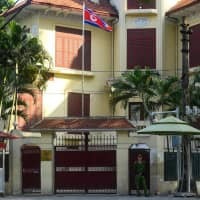 As Vietnam prepares to host North Korean leader Kim Jong Un and U.S. President Donald Trump this month for their second summit, the Vietnamese model of reform is being widely touted as the path for impoverished and isolated North Korea to follow. Vietnam’s reforms have led to per capita GDP soaring almost fivefold since 1986 and kept the ruling Communist Party, which tolerates little dissent, firmly in power. But they have necessitated political change and levels of individual freedoms that would require major reforms in North Korea, where Kim exercises almost total control and is revered by state propaganda as a living deity. “When all the power is in the hand of a single person, decisions are prone to mistakes,” said Cao Si Kiem, the former governor of Vietnam’s state bank who enacted sweeping reforms of Hanoi’s monetary policy from 1989 to 1997. “We had to accept power dilution,” Kiem said. When Vietnamese revolutionary and founding President Ho Chi Minh’s health was failing during the Vietnam War, his right-hand man in the party, Le Duan, took over and ruled until his death in 1986. 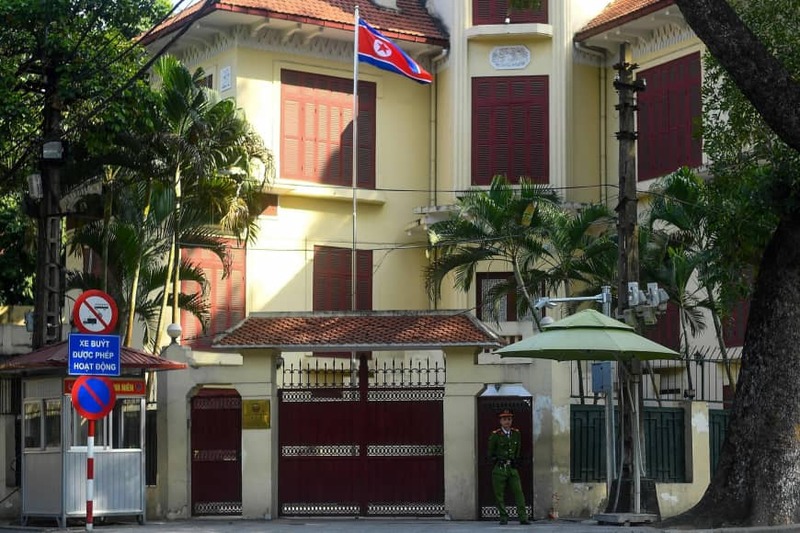 Duan’s demise ended Vietnam’s “strongman era” and helped facilitate economic and then political reforms, said Le Hong Hiep, a fellow at Singapore’s ISEAS Yusof Ishak Institute. North Korea, by comparison, has only ever known its strongman era. Kim officially derives his political legitimacy from his father and former leader, Kim Jong Il, and his grandfather and founding leader, Kim Il Sung. Together, they form the “bloodline of Mount Paektu,” a reference to a legendary volcano on the Chinese border where the eldest Kim is said to have coordinated his guerrilla war against colonial Japan. North Korea’s “juche” ideology of self-sufficiency officially replaced Marxism-Leninism in 1972. Although juche has its roots in the Soviet ideology, references to Marxism-Leninism and communism have been slowly phased out. The ruling Kims are afforded godlike status in the country. Even the official exchange rate for the currency, the Korean people’s won, was, until 2001, pegged at 2.16 won to the dollar because of Kim Jong Il’s birthday, Feb. 16. “In the North Korean context, this is huge — so much further than under previous leaders,” said Andray Abrahamian, a Korea expert at Stanford University’s Asia Pacific Research Center. So far, economic changes, which are communicated in state propaganda as Kim-led initiatives to improve living standards, have come with little political liberalization. North Korea is still officially tax-free and, despite the fact that many North Koreans rely on the markets instead of the state for food, Pyongyang still professes to have a functioning public distribution system. Today, the Vietnamese economy has become so open that the “subsidy era,” when Vietnam went through its most literal iteration of communism, is remembered mainly as a “vintage” design trope in novelty coffee shops and restaurants. “It feels more nostalgic than the more modern coffee shops,” said university student Nguyen Hoang Phuong Ngan as she sipped a coconut latte at Cong Ca Phe, a popular cafe chain that uses communist-era propaganda in its branding.